All inclusive Girl’s Birthday Parties! 60 years of Professional Model and Finishing Training is our guarantee to you of the ultimate ‘Pamper Party’. 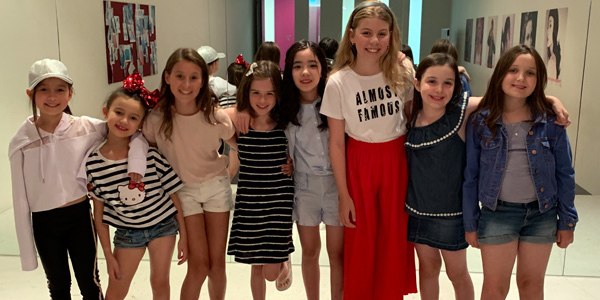 This will be the girl’s birthday party that your daughter and her friends will remember always! We take care of everything except the birthday cake (which we ask you to bring along). This is the perfect solution for parents who are looking for a unique and totally memorable girls’ party theme. Our Parties ( Make-up & Runway Classes) In Action! Parties are held Monday – Saturdays. Early bookings are recommended as we only run one Modelling and Make- up Party at a time and they are very popular. A deposit of $100.00 is required to secure your party booking. Please contact one of our consultants for information. What is the cost per guest for these pamper parties? Am I to expect any additional fees/charges? The cost per guest is $45.00 (including GST) with a minimum of 10 participants per party. This is an all-inclusive fee giving you access to the venue, invitations, party hosts, party food/drinks and pamper products used during the party. There are absolutely no hidden extras or additional charges – the only thing you will have to supply is your own birthday cake! We have a large group of children (approximately 25 children). Is this too big of a group for a pamper party? When it comes to parties, the more the merrier! We are used to hosting large groups of children/teens at our venue. We staff our pamper parties with a ratio of one staff member for every five guests. Whatever the group size may be, we will ensure that there is additional staff to attend to the birthday host and her guests throughout the party. My daughter is turning 17 years. Would this type of pamper party be suitable for her and her friends? 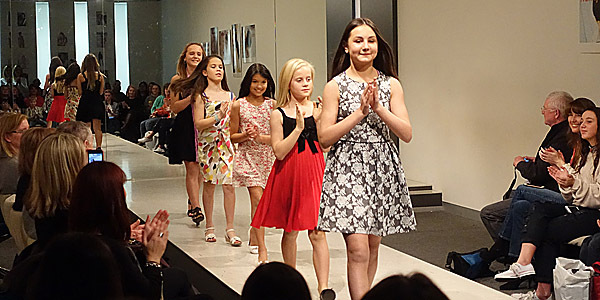 Our modelling and makeup parties are carefully tailored to meet the ages of our participants. Whether it is makeup application techniques, runway lessons, music selection or style of delivery, our hosts are highly experienced in modifying each pamper party to be perfectly age appropriate. Who are the modelling and makeup party hosts? Our pamper party hosts are part of Suzan Johnston’s highly experienced image training team and include make-up artists, stylists and professional fashion models. Where are these modelling and pamper parties held? 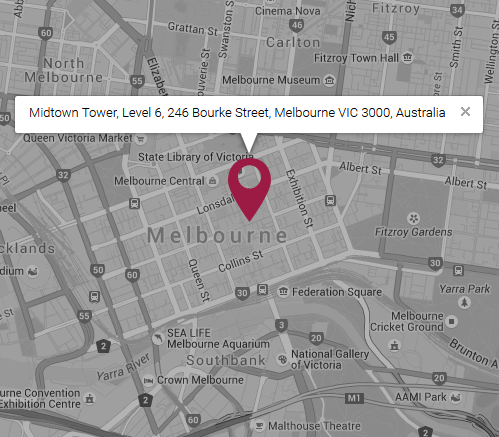 We are conveniently located in a central and easily accessible Melbourne city location (corner of Bourke and Swanston Streets, just a short stroll from Bourke Street Mall) and all pamper parties take place in our contemporarily styled training facilities. Can we come in and tour the facilities BEFORE booking the party? You are most welcome to come into our training centre for a chat with one of our consultants and to have a personalized tour of our facilities. Feel free to call us for an appointment time or you can simply just pop in during our business hours. Why should we book a modelling and make-up party with Suzan Johnston Australia? 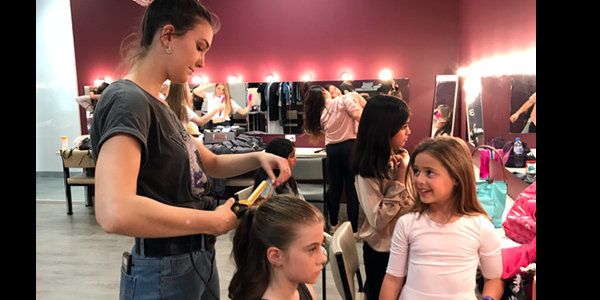 Make-up and Hair styling - all part of the fun!